The handsome Mallard Anas platyrhynchos is the best known wild duck in the world. The male in breeding dress is unmistakable. 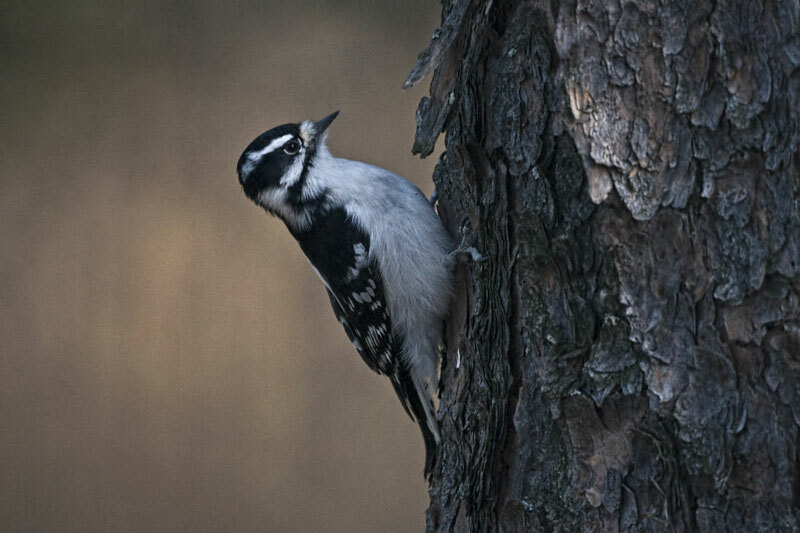 The glossy head and upper neck are brilliant green, separated from the rich chestnut of the breast by a white collar. The rest of the underparts and the sides are light grey. The back and wings of the bird are greyish brown, with a purplish-blue speculum, or wing patch, on the wing. 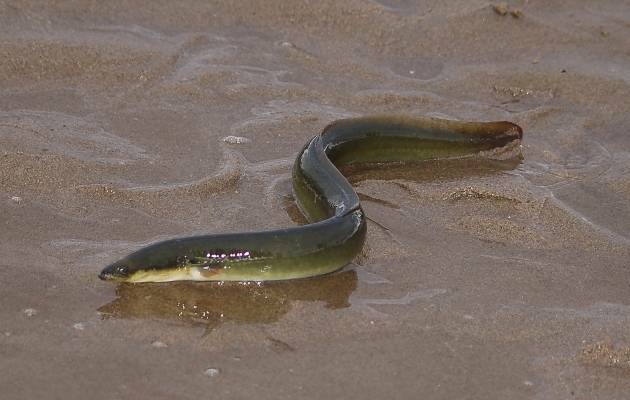 The whitish tail has black above and below it. 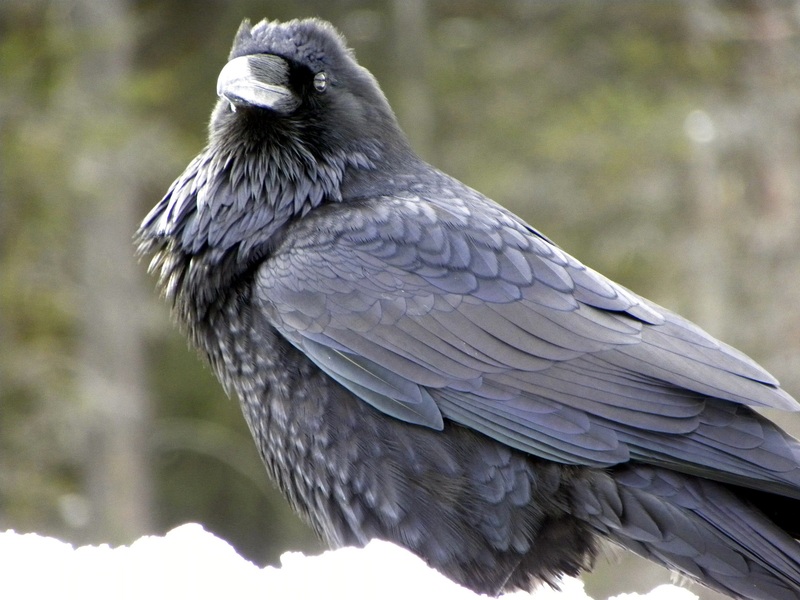 Two central black feathers that curve back above the tail give the breeding male its characteristic curly-tailed appearance. The male has a yellow bill and orange legs and feet. The female Mallard is a much less colourful bird. Its back is mottled brown, its breast heavily streaked with buff and darker brown. It is best recognized by the white-bordered speculum on the wing, which is similar to that of the male. 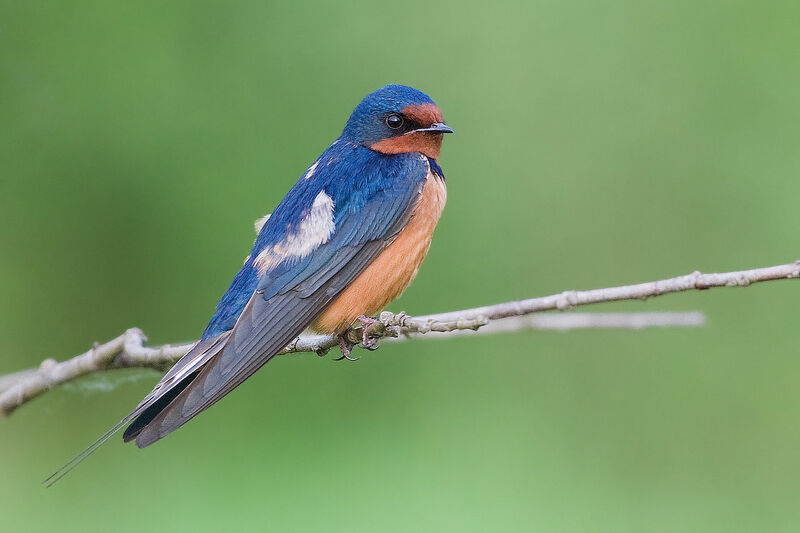 The female has an orange bill, sometimes blotched with black, and its legs and feet are orange. The female Mallard’s call is a loud quack-quack similar to that given by farmyard ducks. 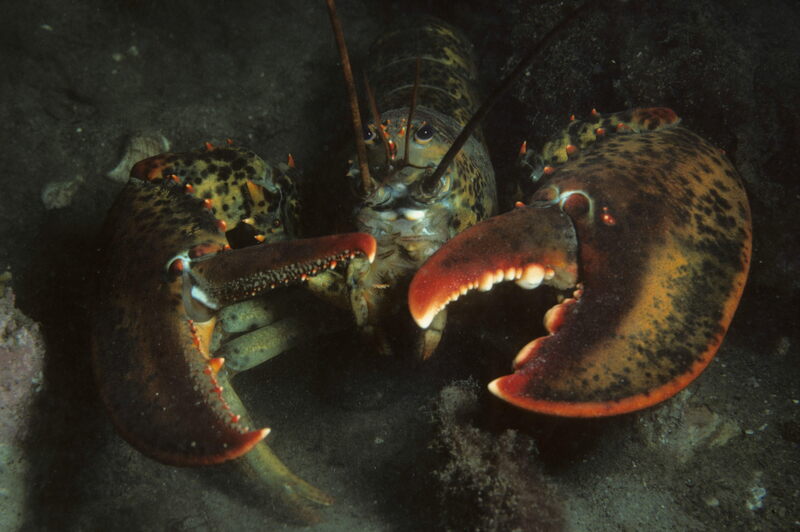 The call of the male is a softer, low-pitched rhab-rhab. Mallards are one of the first ducks to arrive back on the breeding grounds in spring. 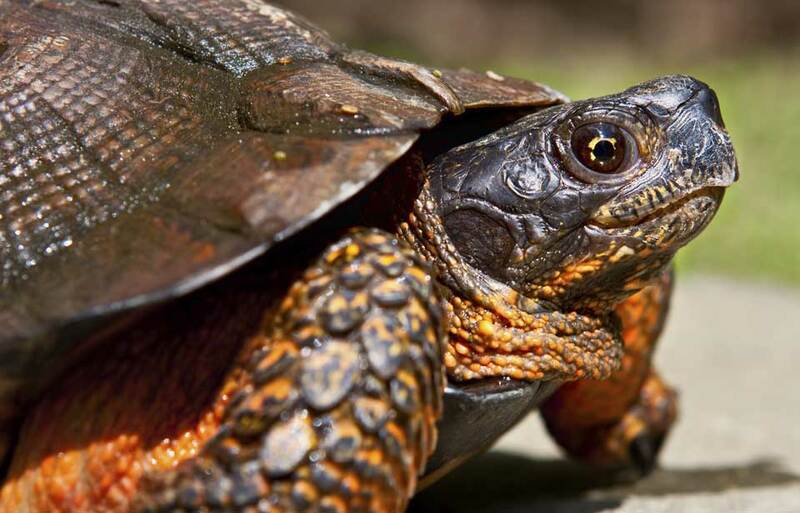 They are adaptable and may nest near a lake, pond, river, or even woodland pool. Their preferred habitats, however, are the natural grasslands that surround little reed-ringed sloughs, or marshy areas, and potholes on the prairies. Even in the heart of many major cities, half-tame Mallards waddle ashore from park lakes to take food from the hands of visitors. 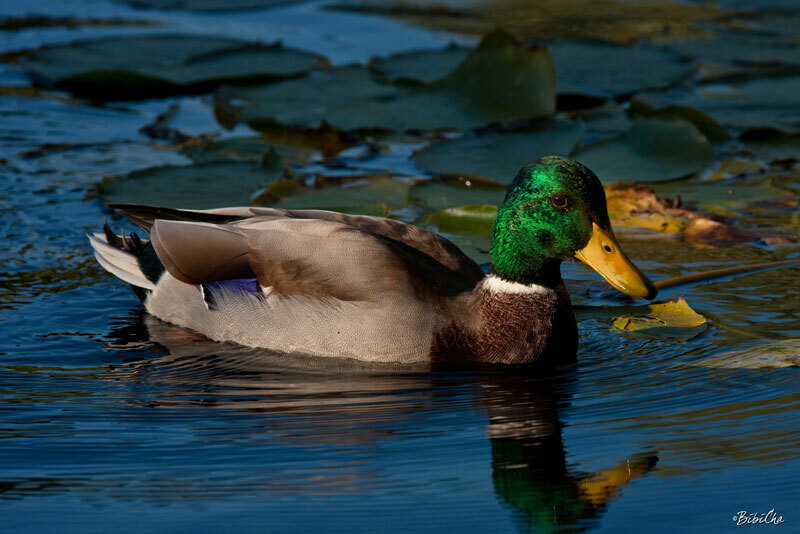 The Mallard is a typical member of the surface-feeding group of ducks, known as the dabblers. 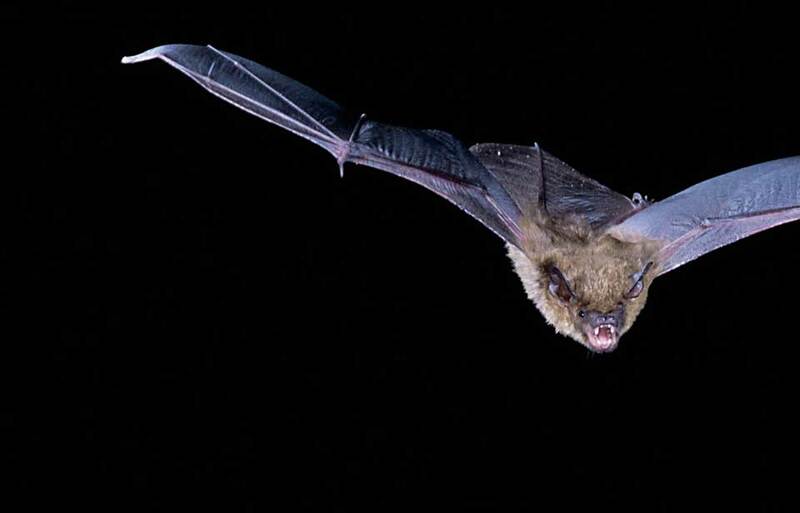 It is often seen in the tipped-up position with its tail held vertical. 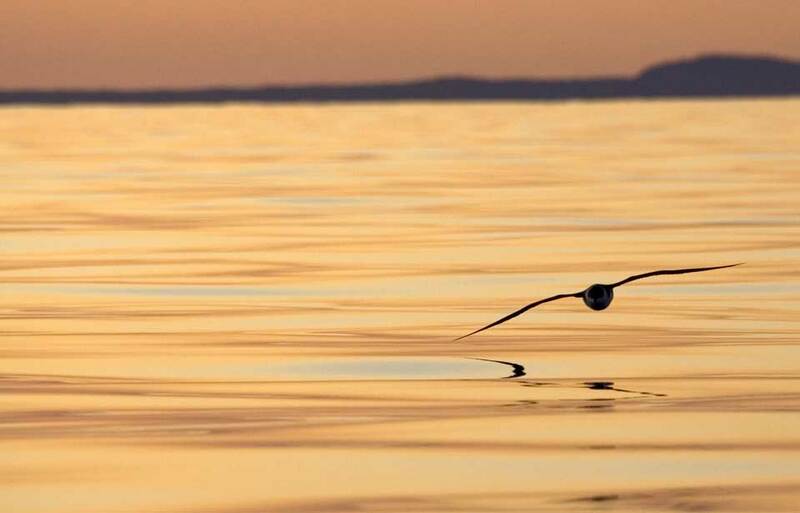 Although the bird can dive in an emergency, it rarely does so. 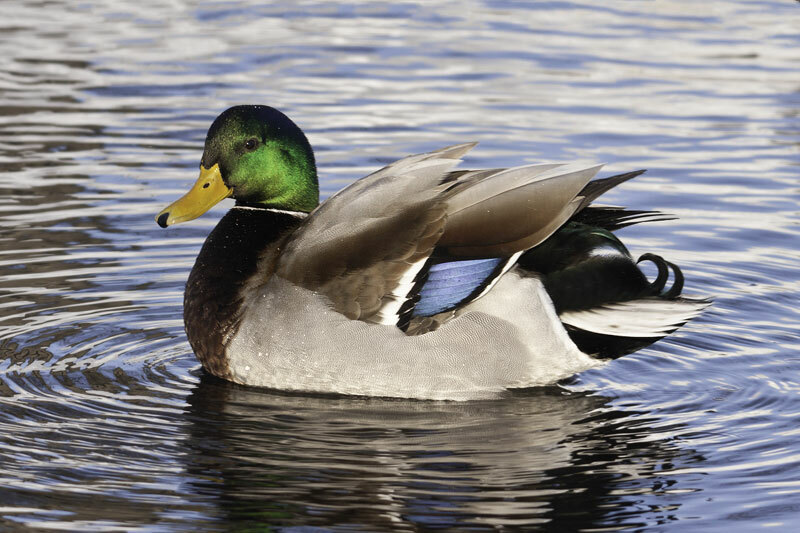 The Mallard is famed as a game bird throughout its range. 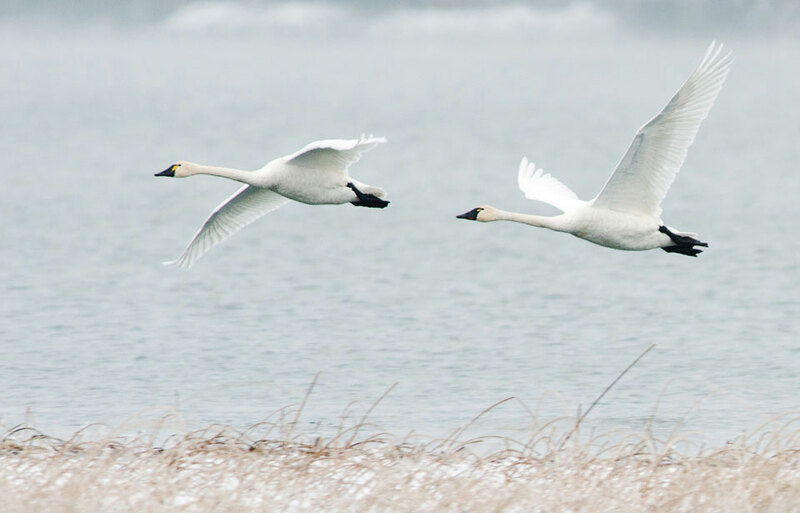 Fast on the wing, it is readily attracted by decoys and its flesh is of excellent quality. 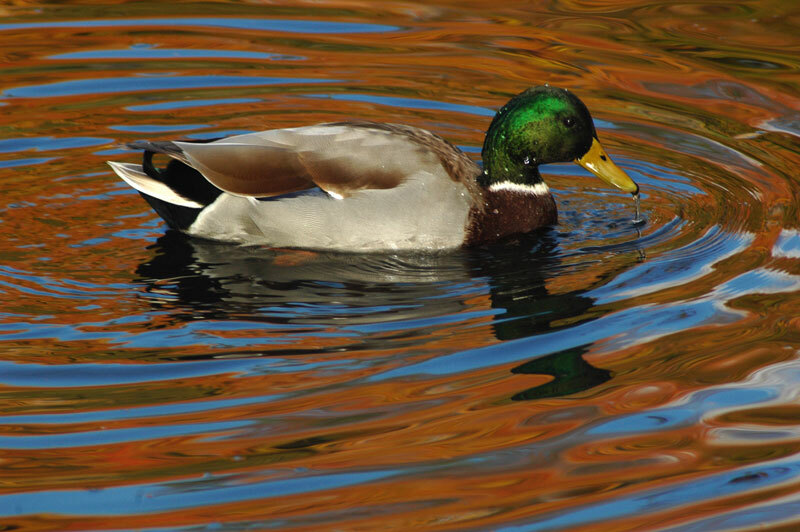 Large male Mallards may weigh well over 1.36 kg, but the average weight is around 1.24 kg. 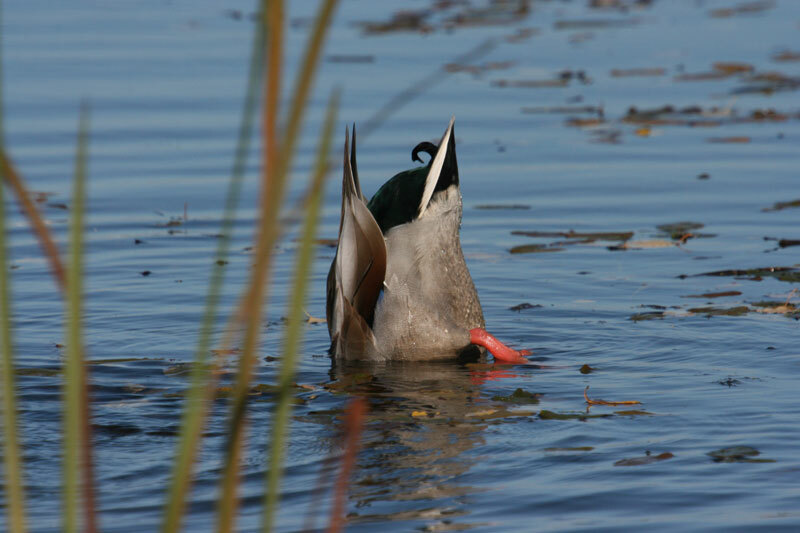 No duck is more extensively hunted: in Canada, over 50 percent of all ducks killed are Mallards. 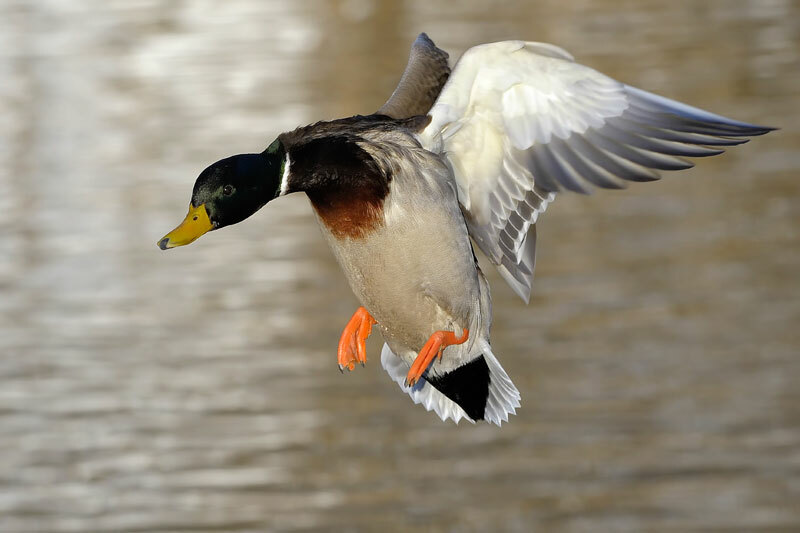 The Mallard is distributed throughout North America, Europe, and Asia and has been introduced to many other parts of the globe. 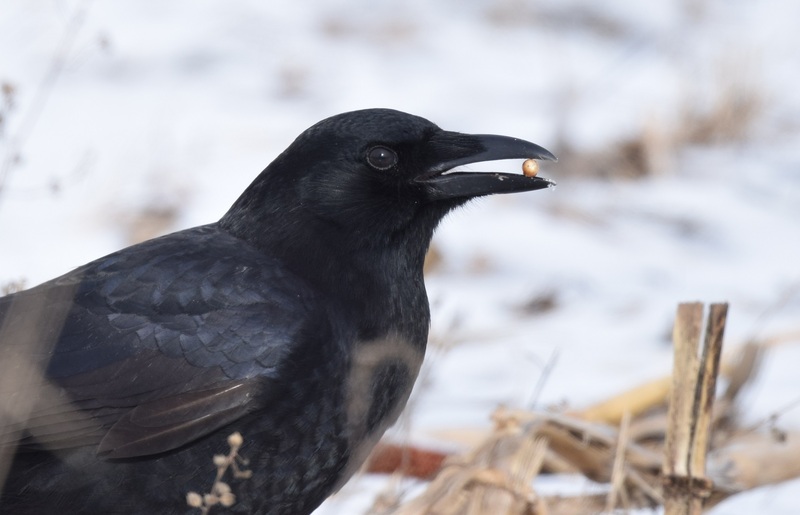 It is found across Canada but is most numerous in the prairie provinces. Mallards have recently been spreading eastwards and are firmly established in New Brunswick along the St. John River. Mallards are rare in Prince Edward Island and Newfoundland and Labrador, being replaced there by the closely related American Black Duck. 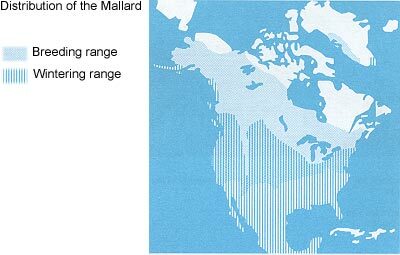 Mallards have also spread north into boreal, or northernmost, forest zones in eastern Canada and along the James Bay and Hudson Bay lowlands. 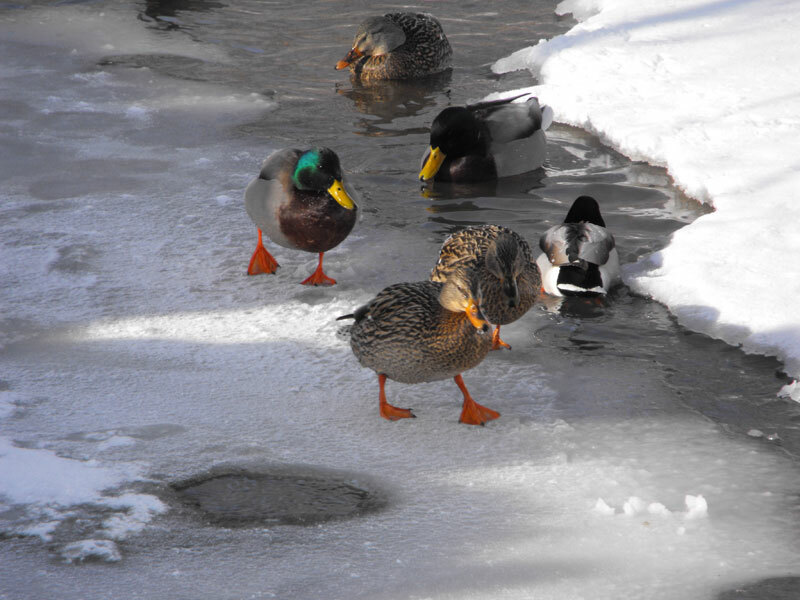 Mallards are hardy ducks, wintering regularly in southern Ontario and southern British Columbia. Some will remain as far north as they can find open water. 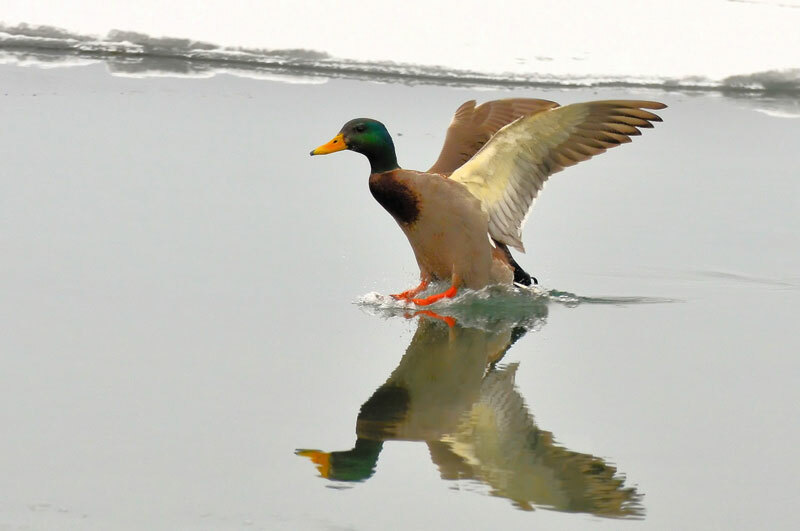 Even in Alaska, some birds are found throughout the colder months, and in Alberta, Mallards stay on the open waters of the North Saskatchewan River as far north as Edmonton. The great majority, however, migrate to the central and southern United States, where lakes and ponds are ice-free throughout the year. Mallards are essentially freshwater ducks, although some may winter on coastal bays. By late March or early April, the first of the Mallards are back on the prairies, the place in Canada where they are the most numerous. At this time, lakes and ponds are usually frozen, and only meltwater fills the hollows of pasture lands and fields. The early arrivals are usually mated pairs. 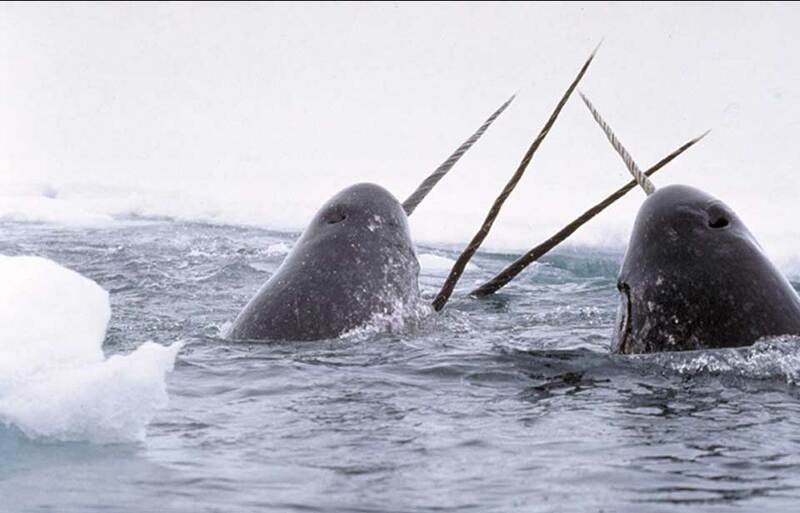 The female, accompanied by the male, searches for a territory. Most often, she will choose a territory close to where she was born. Some females return year after year to the same site. 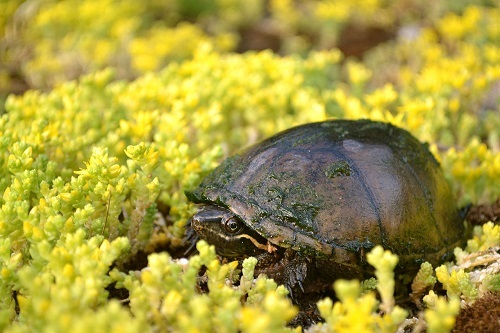 The nesting site may be close to a pond but is frequently at some distance and may even be far from water. Normally on the ground, the nest is little more than a depression lined with bits of rushes, grass, weeds, or other material close at hand. It is usually in good cover such as thick grass, or under a buckbrush, brier rose, or other prairie shrub. The eggs, which with different birds may vary in colour from dull green to almost white, are laid daily. Up to 15 may be deposited, but the usual number is between 8 and 12. Incubation, or warming of the eggs until they hatch, does not start until the last egg has been laid. This ensures that all the ducklings will hatch at approximately the same time. During the laying period, and particularly in the early stages of incubation, the female sheds down, or fine feathers, from her belly to line the nest. This grey down, with white centres, is pulled over the eggs when the duck leaves the nest to feed. It not only supplies warmth but hides the eggs from crows, magpies, and other predators, which are quick to find uncovered eggs. 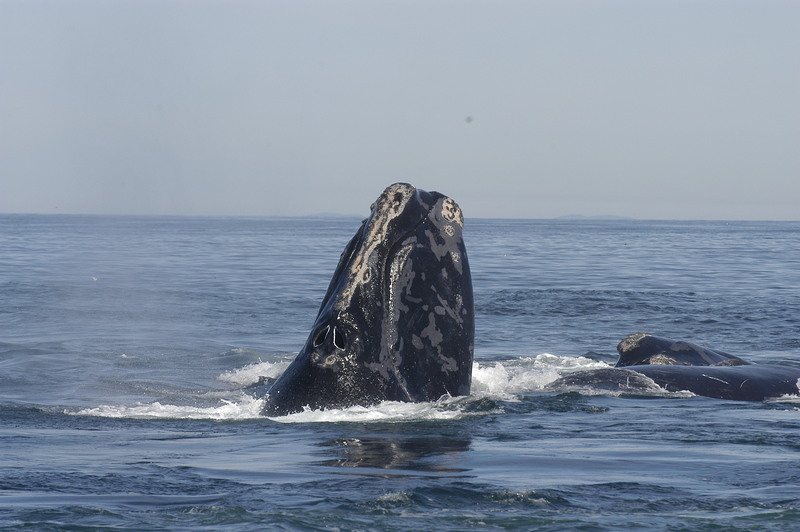 The female does all the incubating, which takes around 28 days. The ducklings emerge as handsome little balls of down. Their clove-brown backs are relieved by four yellow patches. 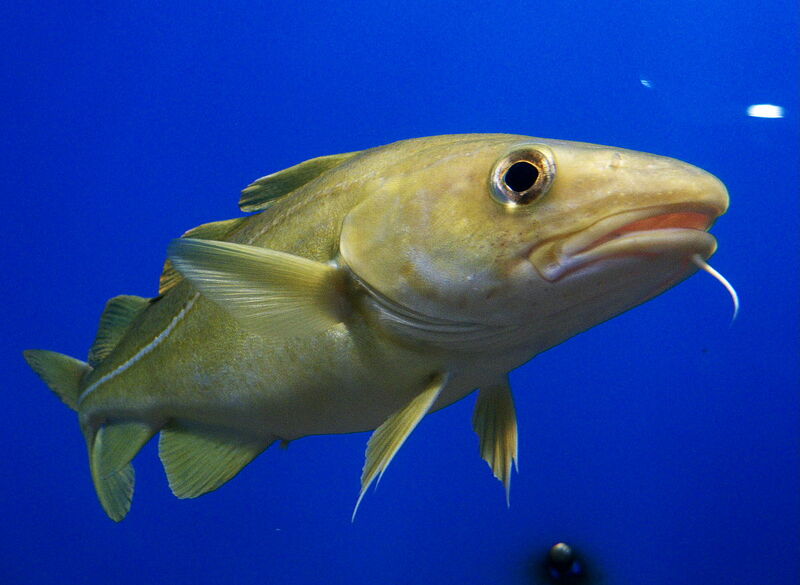 Faces and underparts are also yellow, with the exception of a dark ear spot and a brown line through the eye. Mallards may re-nest up to three or four times if their nests are destroyed. Each successive nest will have fewer eggs. 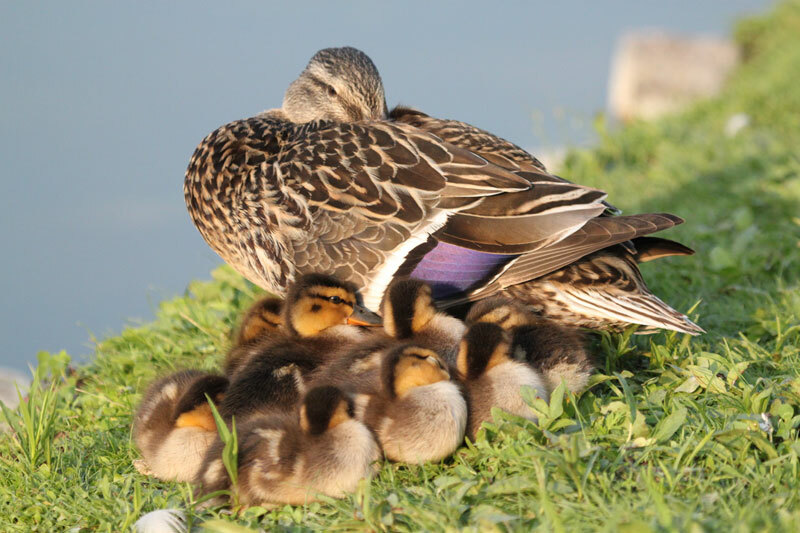 However, Mallards do not raise more than a single brood of ducklings each year. 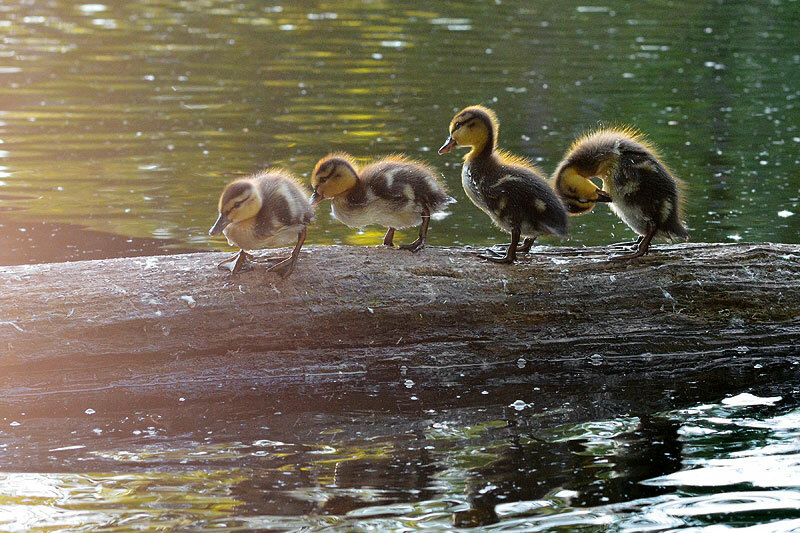 As soon as the ducklings are dry, the female leads them to the nearest water. This may be a long and hazardous journey. Although the female may have nested near a pothole or slough full of spring meltwater, much of this water may have evaporated, leaving nothing but drying mud. 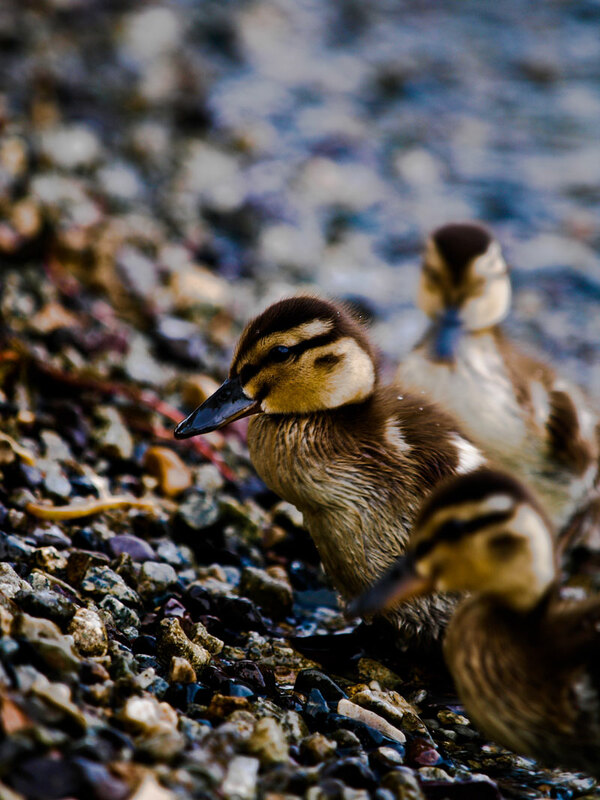 On overland trips, straggling ducklings may get lost in the grass or be picked up by predators. The Mallard is an excellent mother, however. She will stop at frequent intervals to collect and brood, or warm, her young. 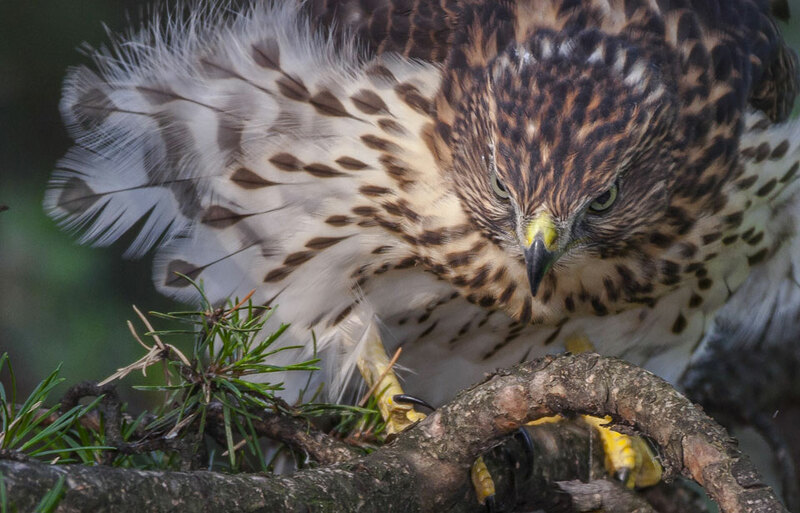 If surprised by an intruder, she is likely to go flapping and squawking across the ground, as if injured. This feigned injury may not fool a human, but undoubtedly lures predators away. Once on the water, the female leads her brood to feeding areas. 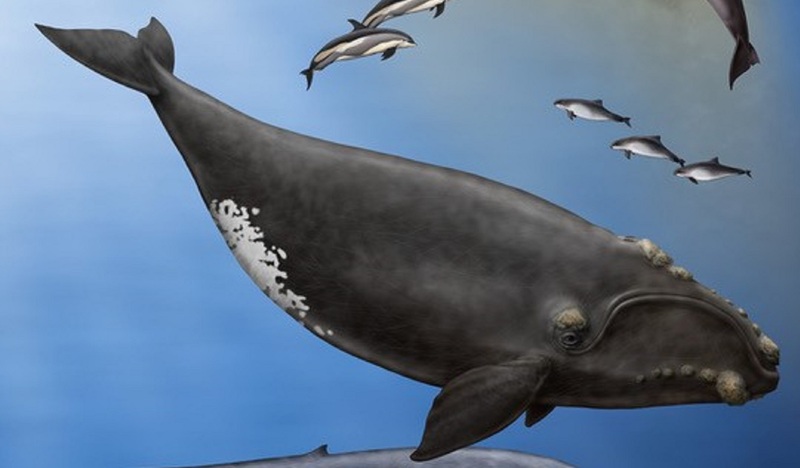 The young find their own food, which at first probably consists of small crustaceans, or hard-shelled creatures, such as water fleas, insects, and tiny plants like duckweed. 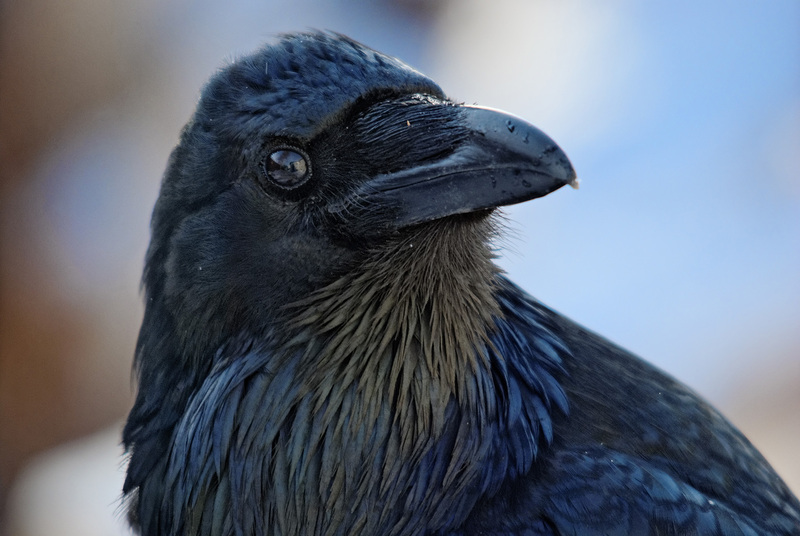 The young gradually lose their down and grow their feathers. In about 10 weeks they have assumed a plumage that is much like that of the female. By that time, the female has abandoned them. After the breeding season Mallards moult, or shed old feathers, into what is known as an eclipse plumage. The males are the first to undergo this moult. 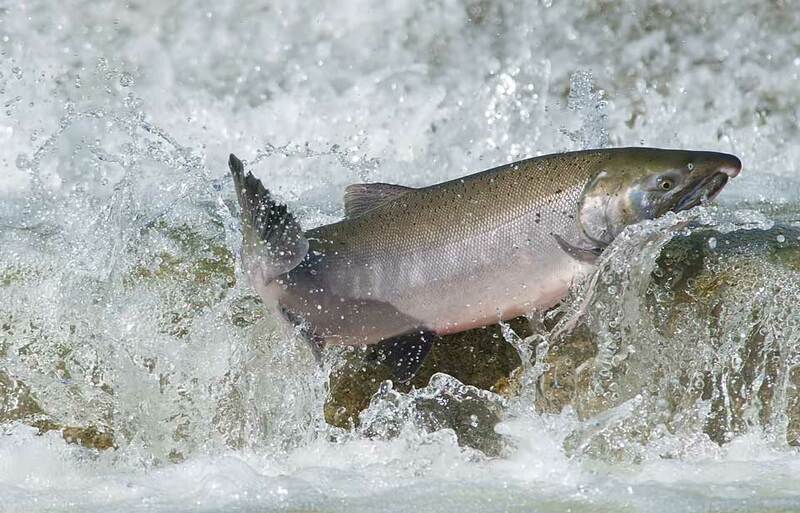 The males remain on their territories for about the first 10 days of incubation. After that, they desert their mates. 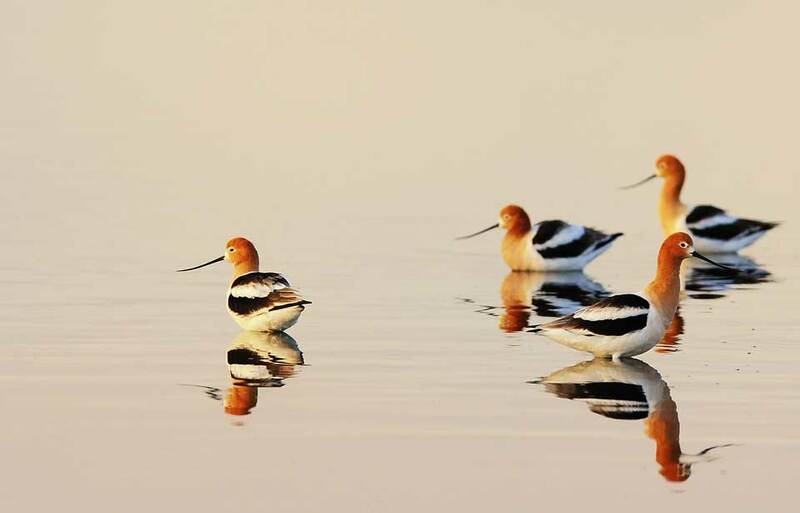 They move to larger marshes, where they lose their brilliant breeding plumage and become more similar to the hen, or female. All their flight feathers are shed at once, and for about a month the birds are flightless. They hide in the reeds until their new feathers are grown. When the females have left their broods, they too gather in the reeds to moult. They also become flightless, but the new plumage they assume is little different from the one they have shed. In the late fall the young gain the plumage of their respective sexes. The males, however, may not attain their full brilliance until their second year. In late summer the birds gather in mixed flocks of young and old. Throughout much of the day they sit idly far from shore. As the grain ripens, the ducks make their flights to the feeding fields. These flights are usually made in early morning and late evening, but in dull, stormy weather may occur throughout the day. They provide the hunter with the best duck shooting. 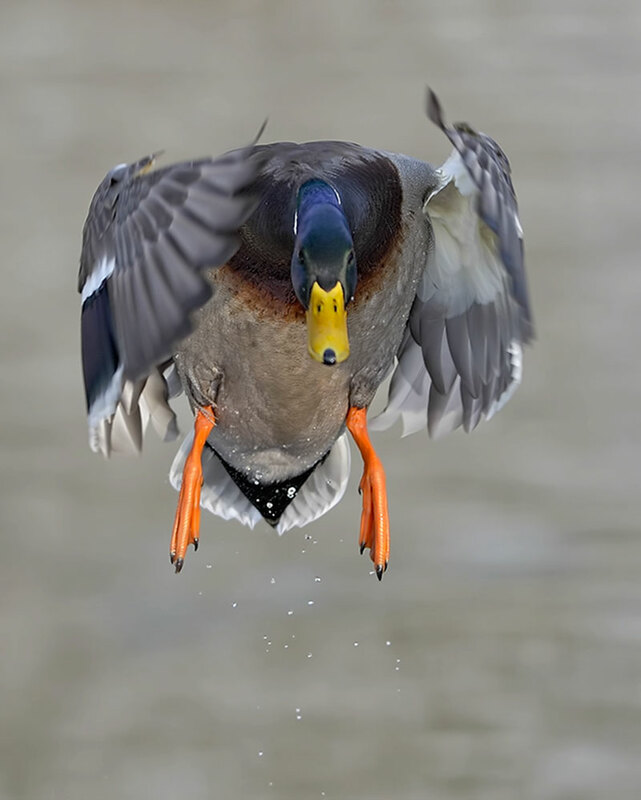 The Mallard is one of the hardiest and most adaptable of ducks. Nevertheless, the continuing loss of prairie nesting habitat, particularly grassy uplands, has caused a long-term decline in continental Mallard populations. Droughts during the 1980s and 1990s have created unfavourable conditions for prairie ducks, and many former wetlands have dried out and are now farmland. 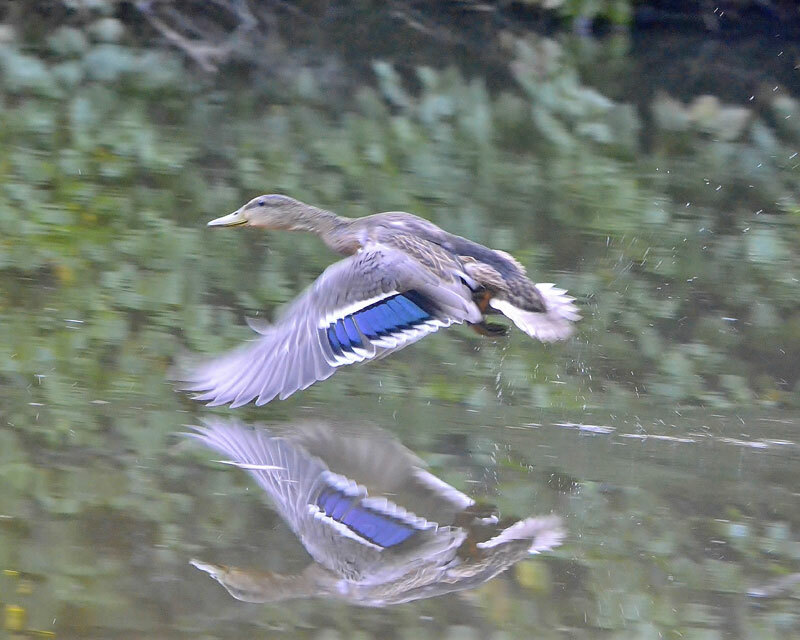 In eastern Canada, Mallards are thriving. Abundant nesting cover in abandoned farmlands, forest clear-cuts, and city green spaces has helped Mallard populations expand. 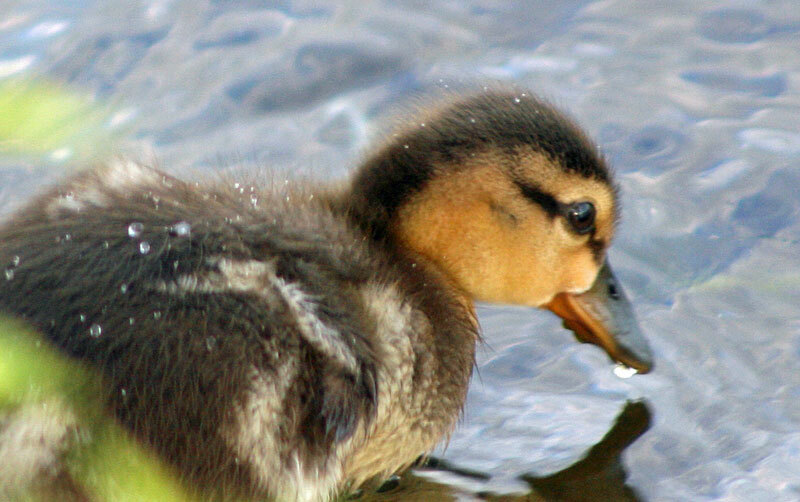 Mallards easily hybridize, or interbreed, with the closely related American Black Duck. Because of the dramatic increase in Mallards, such hybridization has posed a significant problem to maintaining American Black Duck populations. 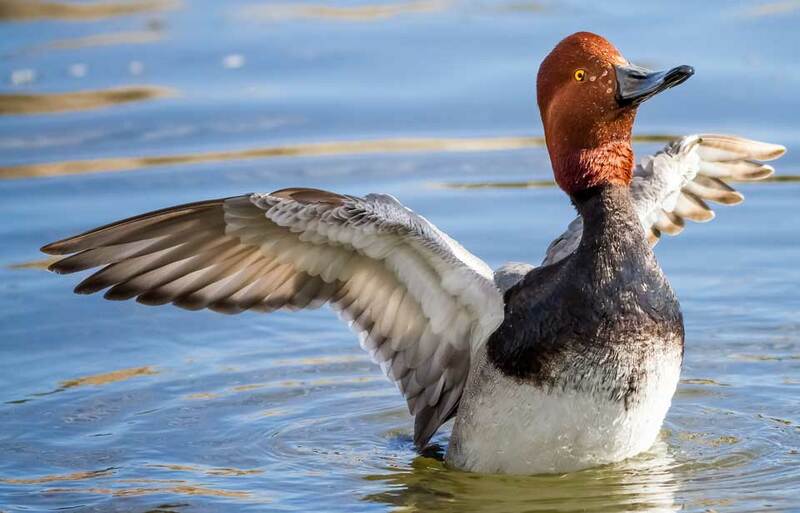 Concern for the long-term decline in prairie Mallards and other ducks like the pintail resulted in a continent-wide effort to benefit waterfowl and other wetland wildlife. 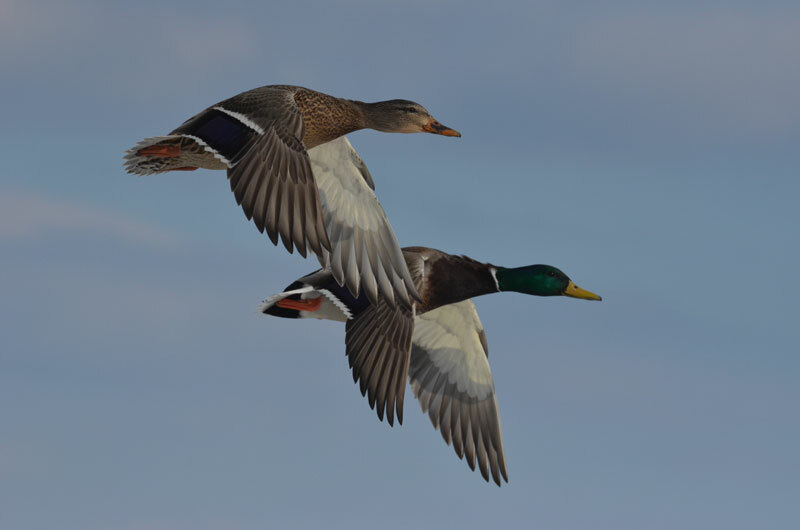 The North American Waterfowl Management Plan (NAWMP) signed in 1986 has specific habitat management goals aimed at restoring Mallard populations on prairie breeding habitat and also in their migration and wintering ranges. Canada, the United States, and more recently, Mexico, are partners in the plan. 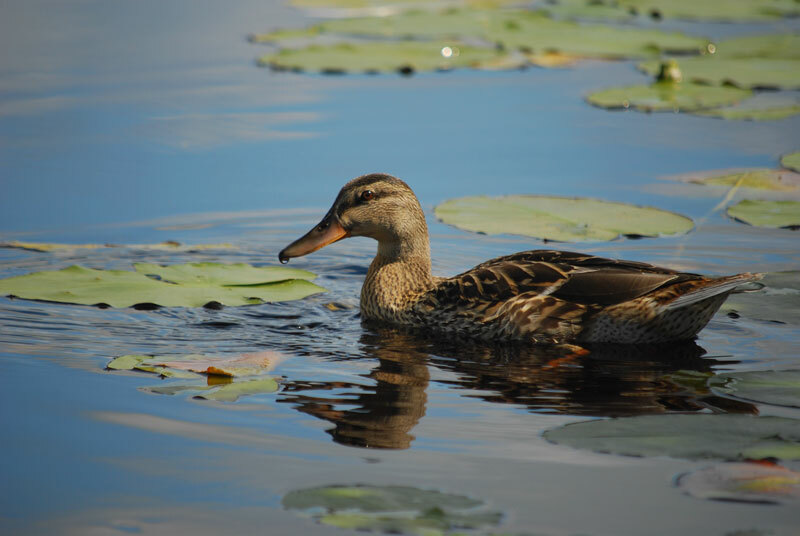 The Prairie Habitat Joint Venture under the plan calls for restoring over 1.4 million hectares of prime Mallard breeding habitat in Manitoba, Saskatchewan, and Alberta. For further information on NAWMP, please contact the NAWMP National Implementation Office at the address given below for the Canadian Wildlife Service. Mallards are one of the few ducks that habitually feed on grain. Barley and wheat are preferred. Most grain is now harvested by combine, and ducks cannot do much damage, except when the grain is left in swaths because of poor weather. 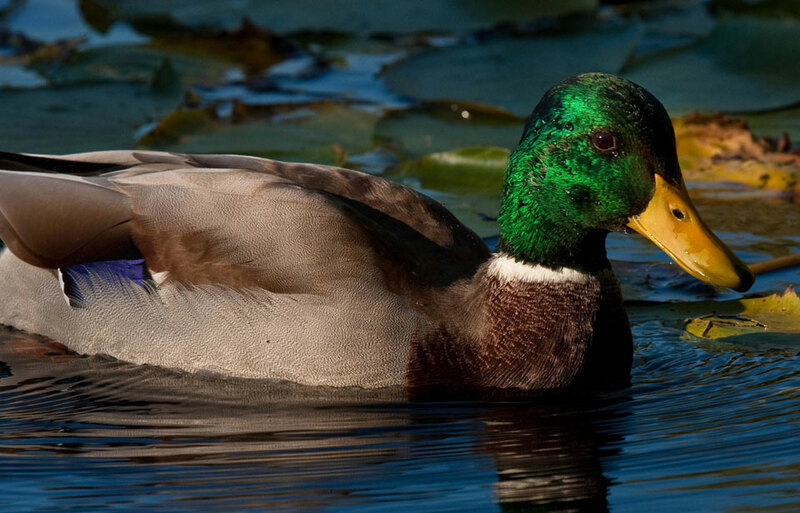 Throughout the ages, the Mallard has benefited people by supplying them with eggs and flesh. It has long been domesticated, and many strains of our domestic ducks show their Mallard ancestry in their bright colours. Apart from its usefulness, the Mallard is a beautiful bird that brings delight to many outdoor people. The bird watcher knows of few more thrilling sights than Mallards dropping down with feet out-thrust to find the first spring water. Bellrose, F.C. 1981. 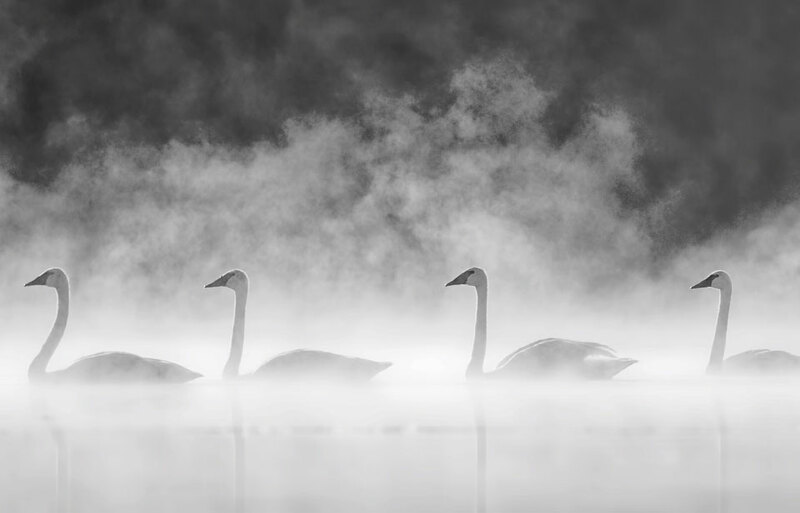 Ducks, geese and swans of North America. Revised edition. Stackpole Books, Harrisburg, Pennsylvania. Bent, A. C. 1923. Life histories of North American wild fowl. Part 1. Reprinted 1987 by Dover Press, New York. Godfrey, W.E. 1986. The birds of Canada. Revised edition. National Museums of Canada, Ottawa. 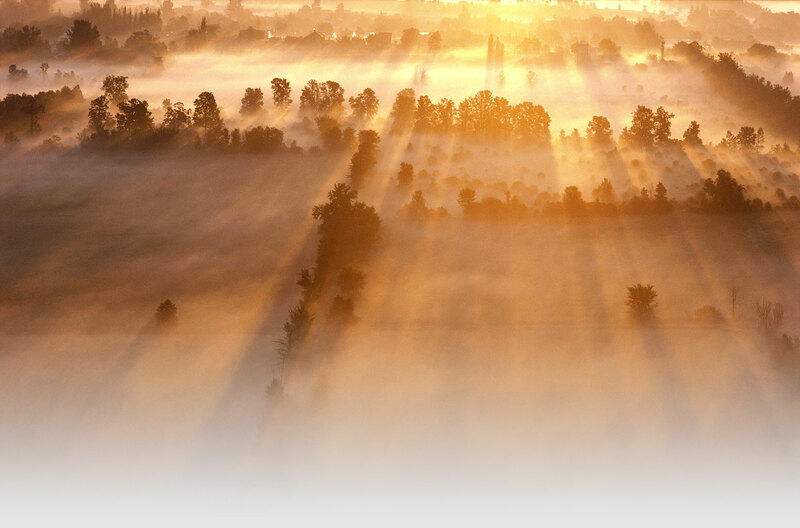 Munro, David A. 1967. The prairies and the ducks. Canadian Geographical Journal 75(1):1–13. Savage, C. 1985. The wonder of Canadian birds. Western Producer Prairie Books, Saskatoon. © Her Majesty the Queen in Right of Canada, represented by the Minister of the Environment, 1973, 1980, 1996. All rights reserved. The Roseate Tern Sterna dougallii is a seabird that resembles a small gull, but it has the typically slender body, short legs, and long, pointed wings of all terns. 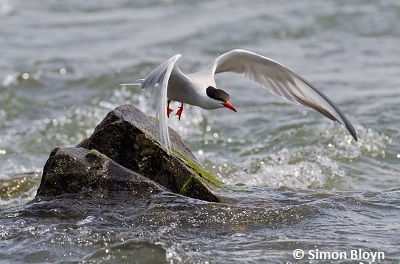 It is closely related to the Common Tern Sterna hirundo and the Arctic Tern Sterna paradisaeaand is frequently found in their company. For these reasons, the Roseate Tern is not easy to identify (see drawings). It is a paler grey than Arctic and Common terns, and its tail streamers are considerably longer. The adult Roseate Tern is 33 to 34 cm in length and has a wingspan of 72 to 80 cm. At a weight of approximately 100 to 120 g, an adult is slightly smaller than a Mourning Dove. 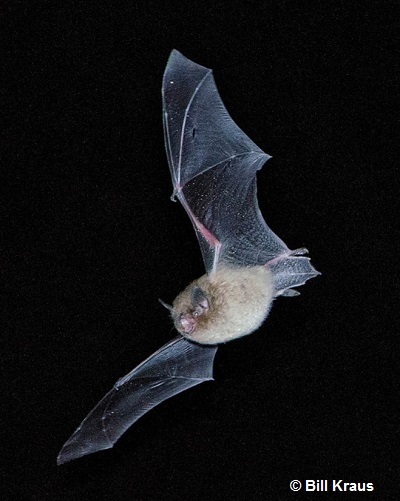 It has a black forehead and nape, and its upper wing is a pale grey. Its tail is white with deeply forked outer feathers that give the impression of long streamers when the bird is in flight. The underside of the tern is white, tinged with pink early in the breeding season; however, this pale rosy tint is not a good field mark, or identification characteristic, because it varies from bird to bird, and the colour tends to be bleached out by the sun. The legs and feet are reddish, and the bill is mostly black, although bills of breeding birds may be red at the base. Male and female birds look alike. 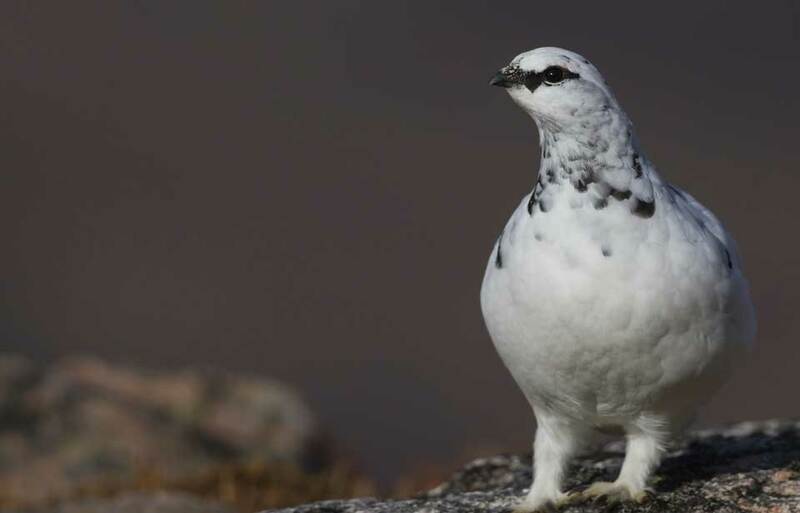 The head of the nonbreeding adult is mottled black and white. The juvenile Roseate Tern has a mottled greyish back and rump and dark bill and legs. Chicks are unevenly covered with down, giving them a spiky appearance; their legs are dark purplish to black. 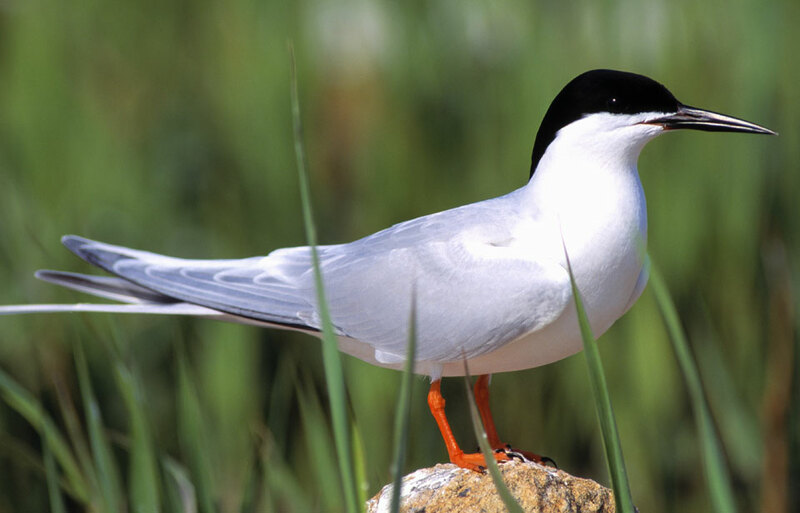 All terns have a harsh cry, but the Roseate Tern has a distinctive, two-syllable call — kir-rick. This is often the best way of confirming its presence at a colony.